Welcome back readers. I hope that everyone had a very pleasant month of September. During the month, I was preparing to make a purchase but before I pulled the trigger, the stock that I was watching started a big rally. So despite me still really liking the company, I just don’t like the price that I would have to pay now. With this being said, unfortunately I did not make any new purchases during the month of September. I did however have a new record breaking month for me which I am thrilled about. Yesterday when I went on the More Dividends Facebook page, I was pleasantly surprised to find out that my blog had been listed as a Top 100 Dividend blog which was great news. There are a lot of great blogs listed so I was very happy with being listed as #44. In celebration of this achievement I have decided to put a badge for this award at the bottom of the page. Thank you to everyone who is on this journey with me! Now let’s check out how we did during the month of September. During September, despite having a lot of interest there were no purchases made during the month. Hopefully I will be able to find some good opportunities during the coming month. September was the last month of Q3 and accounted for $73.93 of my 2017 Dividend Income. All my stocks paid out more this year except for MSFT because of having sold off a partial share during a transfer. Plus I own a few more companies this year than I did last year. With no new additions there isn’t much movement in the allocation of my capital. Lets take a look at the breakdown. With nothing but reinvested dividends affecting the portfolio there hasn’t been a big change. I am still very happy with the current positions that I hold and am hoping to maybe find some new opportunities soon. Here are the articles that I posted on here during June. If you are interested in posting guest post, just head over to the Contact Page and send me a message. Now hasn’t that been a great month. The lack of current contributions is not holding back my portfolio. I am still currently seeing some great year over year growth. Hopefully some new investing opportunities will present themselves soon. Until then I will continue to let my dividends reinvest and continue to grow my portfolio. 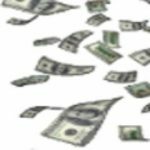 I am so proud of recently being recognized as one of the webs Top 100 Dividend blogs. Be sure to check out the bottom of the page to check out the recently added badge. I appreciate everyone who sticks around and reads my blog posts. It is so inspiring to me when I read all of your words of encouragement. 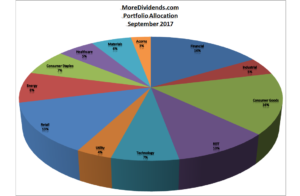 Part of the beauty of dividend investing is that it will continue to work in the background, even if you aren’t making moves in your portfolio. Love the list of names that you received a dividend from this month. Keep up the great work! There will always be opportunities to invest. 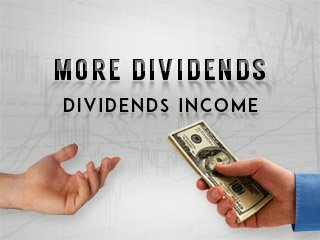 Sometimes stocks get away before you can pull the trigger but with reinvestment of dividends you are able still grow your passive income stream without the addition of fresh capital. Many solid names paying you for the month. Just stick with the plan! That is some very valid points DH. Fortunately by me waiting I was able to buy the stock anyways when it took a big dip, I will be posting about it soon. Yeah, DRIPing is the name of the game for me. I will continue to DRIP for many years to come. It was great to hear from you DH, thanks for stopping by! Just started reading your blog. Our portfolios look very similar. FLO all the way!